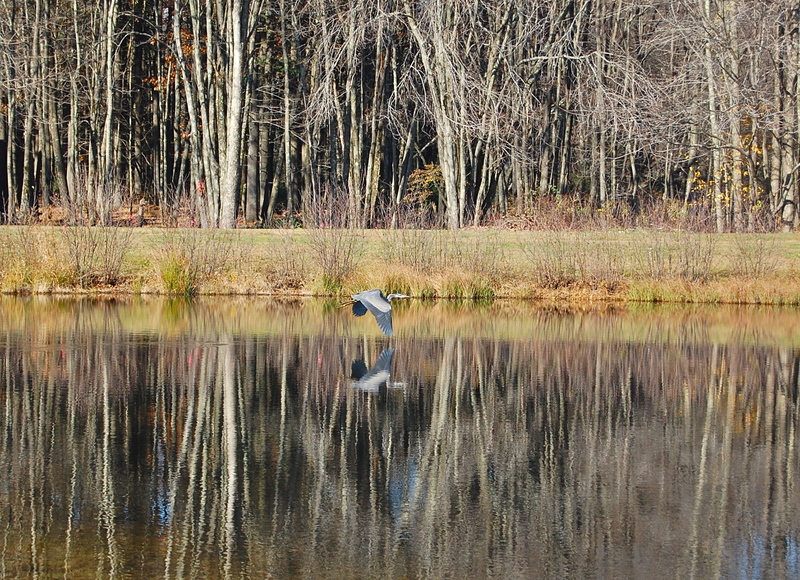 From 2007 – 2012 I kept a photo blog, SilverLining, about the four seasons of a pond in New England. A favorite subject I wrote about frequently was the great blue heron. With a height of 3 – 4 feet and a wingspan of 6+ feet, it’s hard to imagine the bird weighs just 5 – 7 lbs. and could be both awkward and graceful in one motion, when either landing or taking flight. For this Sunday’s Snapshot post, here are some photos I took of the heron through those years.